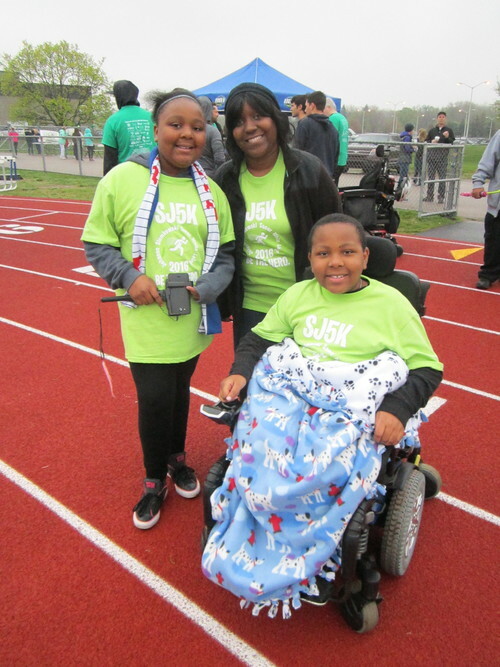 Meet the 2016 SJ5K Families. Ann has been a teacher in the Plymouth-Canton school district for 30 years. She is also the owner of a farm and horse-training business. She has touched thousands of lives with her enthusiastic and tireless efforts in her math classroom as well as on her farm. Her son, Grant, graduated from Canton High School in 2015. Two years ago, Ann was diagnosed with breast cancer. Not wanting to let the disease affect her students, she continued to teach throughout the battle, taking off every other Friday for chemotherapy, being sick all weekend, and returning back to school every Monday. After her treatment was over, the doctors told her the cancer was gone and Ann thought the battle was over. Only two weeks later, she felt dizzy, lost her balance, and returned to the doctor to find that the cancer had spread to her spine and brain. With the new diagnosis Ann is now taking off time from teaching to focus on fighting her cancer. She is also no longer able to work on her horse farm. Grant, her son, has had to give up his college baseball scholarship in order to stay close to his mother during these difficult times. When Chris was a sophomore at Central Michigan University, he began to experience double-vision. He had been having headaches and nausea for several years but the doctors felt these symptoms were due to stress, diet or sleep habits. Chris went to the hospital where he underwent a Cat Scan and was found to have a brain tumor. He went through a surgery to have it removed, and recovered fine. A few days later, Chris had to undergo a second, more invasive, surgery to attempt to completely remove the tumor. The tumor was located in his cerebellum, the part of the brain that controls balance and muscle movement. After the surgery, Chris lost some of his physical abilities and is currently in a wheelchair. Chris is a fighter and works very hard at therapy to help him gain back the skills he once had. Overtime he has learned to stand and can walk short distances with his walker. He is greatly supported by his loving, optimistic family. Sharon is a math teacher and student council adviser at Plymouth High School. She is passionate about her work and never misses a day of school. After school, she stays late offering extra help to her students. In her free time she plays the violin in the Dearborn Symphony orchestra. Recently, Sharon was diagnosed with stage two breast cancer. She will have to undergo 4 ½ months of chemotherapy, surgery, followed by six weeks of radiation. She is concerned about the amount of school she will have to miss and worries about how it might affect her students. A potential side effect of chemotherapy could be Sharon losing her ability to have feeling in her extremities which could make playing the violin, which she’s played for most of her life, difficult or impossible. Sharon amazingly uses this as inspiration to be positive and stay strong through her treatment. She is in the early stages of breast cancer and has the loving support of her family and friends. Terri Saenz is the mother of Brandyn and Joshua, two Salem High School graduates. One day herself as well as her family and friends noticed her speech was beginning to slur and suggested she visit the doctor. They assumed Terri had had a stroke, but sadly they were mistaken. 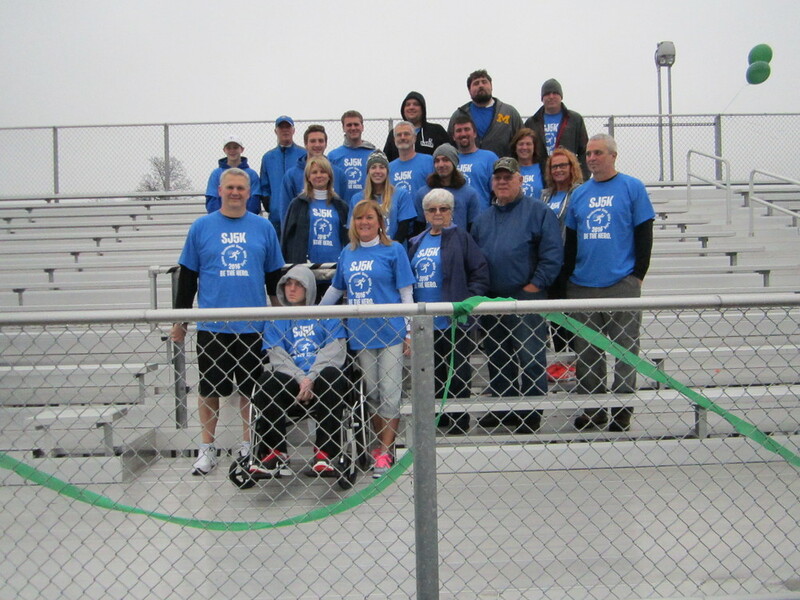 In January 2015, Terri was diagnosed with ALS. Currently, there is no cure for this disease, yet Terri continues to fight bravely every day. She is greatly supported by her friends and family.They say she keeps their spirits up with her amazing optimism about her situation. She was very involved with her children’s schools, serving on the PTO boards, as well as being the Vice President of the Plymouth-Canton Music Boosters. Peggy Fenwick, Terri’s best friend, created a website dedicated to her story and helping raise donations for ALS.net. Click here to see the website. Torrance is currently a student at Ericcson Elementary. He is wheelchair bound and has Spinal Muscular Atrophy Type II. At the age of only 10, Torrance has been through 8 surgeries. He has to use a machine to help him breathe and is fed through a feeding tube. Through all of this, Torrance continues to be so full of life, making everyone around him feel joyous. He even wrote his own book that describes his disease and the troubles he endures every day. His siblings, Tionna, Lavonte, and Aeron, all attend schools in the Plymouth-Canton school district. Torrance’s mother, Katrina, is a paraprofessional in the Cognitively Impaired program at Plymouth High School. On top of everything, Torrance’s father is experiencing kidney failure and had to stop working. He has to go into dialysis three times a week, and is in the process of getting approved for a kidney transplant.